Alright, you’ve decided to enhance the value and the beauty of your Orange County home with some first-rate landscaping. In preparation, you’ve no doubt pondered issues like space, style, and plant choice until your head hurts. But have you stopped to consider the environmental impact of your home improvement project? The good news is that you can boost the beauty of your home and help keep our planet green simply by considering factors like water use, runoff, and sustainability in your landscaping strategy. One good way to score high points in these areas is by growing native fruits and veggies on your property. Indigenous plants already fit perfectly into the ecosystem. Since this type of foliage naturally belongs in the region, it requires less irrigation and less pest control than your average outsider. To save even more precious H2O, group together all plants with similar irrigation needs. Plants that drink together, save water together. 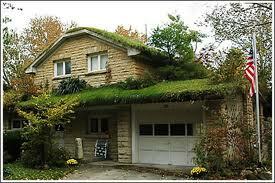 You’ll also want to retain the maximum amount of natural landscaping. Keeping an abundance of native plant life in place does wonders to minimize runoff. On the fertilizing front, composting is an effective, eco-friendly way to liven up your soil. Check out Home Depot. They offer an excellent selection of easy composting solutions that will jump start your future of fertilizing. OK. That’s it from this end of the planet. Does anyone else out there have some eco-friendly landscaping suggestions? We’d love to hear about them. Just fire off your ideas below. Or tweet @weeksteam with #green. very nice article.an ideas are endless .we can make our small house to funny.size does not a matter for green home landscaping .Stop considering the space and make your small home to haven.